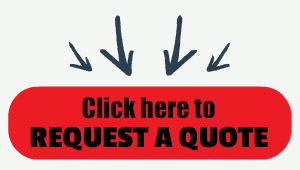 Make your counting more efficient with our PC-902 counting scales and contribute directly to your bottom line. Electronic counting scales allow you to get closer to an accurate parts count - which allows you to get closer to a just-in-time inventory system resulting in much better manufacturing efficiencies. Our counting scales are accurate and durable, featuring clear displays with easy to read prompts and instructions. They can interface with printers and integrate into your management information systems network to give you complete control over your processes. An easy-to-operate, no nonsense counting scale that weighs extremely light parts and reduces the time required to count. The PC-902, using vibrating beam technology provides the highest level of counting accuracy, at an affordable price. Manufacturers and suppliers of small components for computers, communications equipment, electronics and other products know the importance of accurate counting and weighing. Counting parts that are so small and light that they can barely be seen is a daunting and time-consuming process that is prone to error. Now even small-component manufacturers and suppliers have a counting scale alternative that ensures accuracy and reduces time required to count parts. 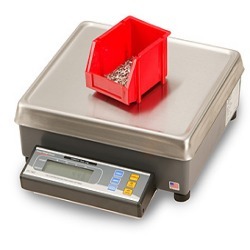 The Avery Weigh-Tronix PC-902 digital counting scales have the ability to weigh parts as light as 0.00001 lbs. in less time with accuracy up to 99%. Feature an easy to read backlit LCD display, for use in low light conditions. The PC902 features a minimal keypad which can be operated with as little as one keystroke, reducing confusion and operator error. Meanwhile, the PC905 has a full numeric keypad for more sophisticated data entry, while also being easy to use. The PC905 can also link to a remote base, allowing the scale to be used to weigh both small and large items. 55532-0019 ................... 25 lb / 12 kg ................. 12.6" x 14.08"
55532-0035 ................... 50 lb / 25 kg ................. 12.6" x 14.08"
55532-0050 .................. 100 lb / 50 kg ................. 12.6" x 14.08"
55532-0027 ...................... 25 lb / 12 kg ............... 12.6" x 14.08"
55532-0043 ...................... 50 lb / 25 kg ............... 12.6" x 14.08"
55532-0068 ..................... 100 lb / 50 kg ............... 12.6" x 14.08"